If you love peace and privacy, this is the home for you. This rustic 2-bedroom 1.5 bath log cabin is the perfect retreat. 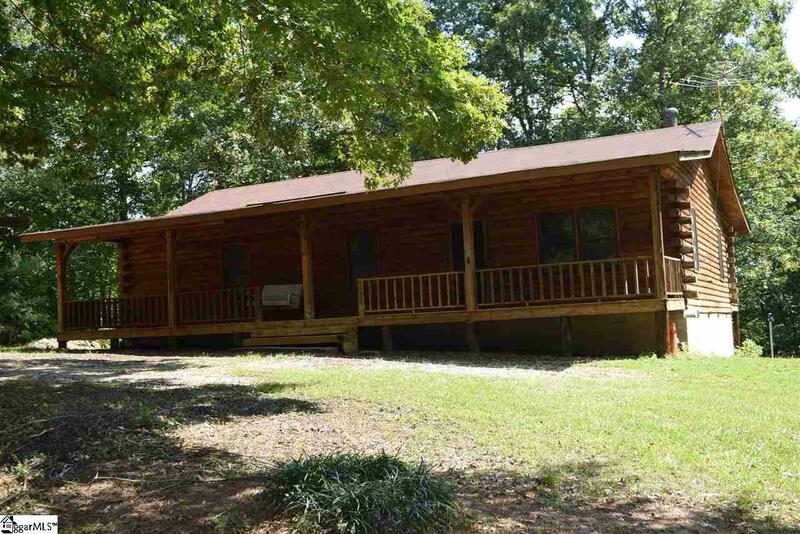 It is situated on almost 2 acres of land with a creek near the back of the property. The great room features a wood burning stove, cathedral ceiling, and is open to the kitchen. The bedrooms are oversized with plenty of room for big furniture. There is also a sunroom on the back of the house, that would make a great office, or additional sitting room. Also, on the property are two 12x8 storage buildings, and a 24x24 detached double garage. This home won't last long, schedule your showing today. Listing provided courtesy of Leslie Horne of Keller Williams Realty.